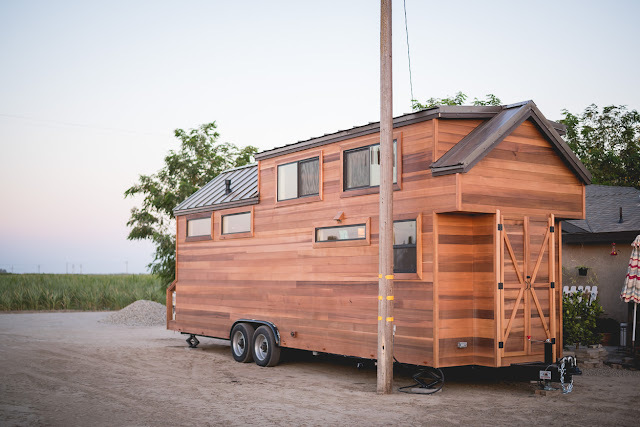 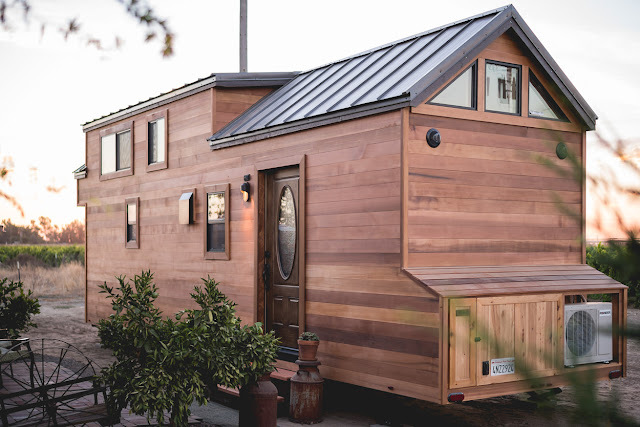 From California Tiny House is this beautiful 28 ft home on wheels. The home has cedar tongue and groove siding and is fully RV certified. 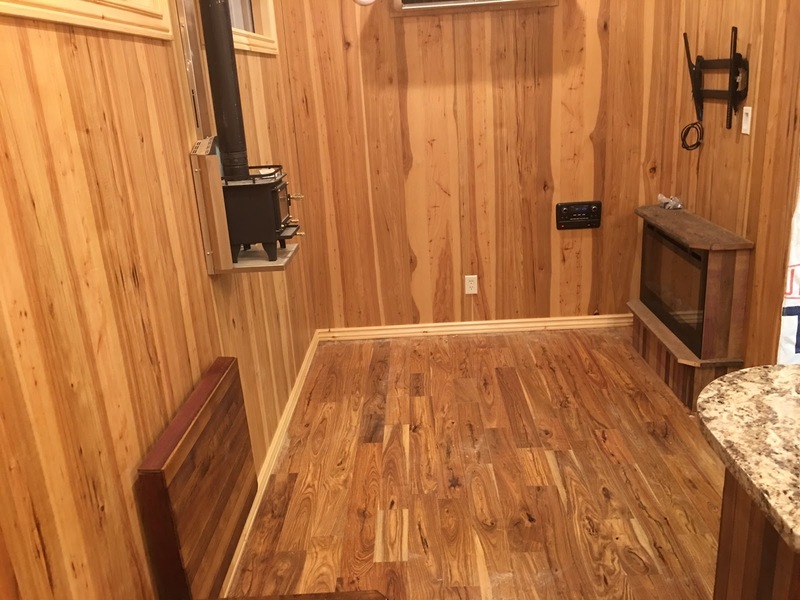 Inside the home is a full kitchen with granite countertops, a living room with two fireplaces, a foldable table, and a TV wall mount, a bathroom, and loft bedroom. 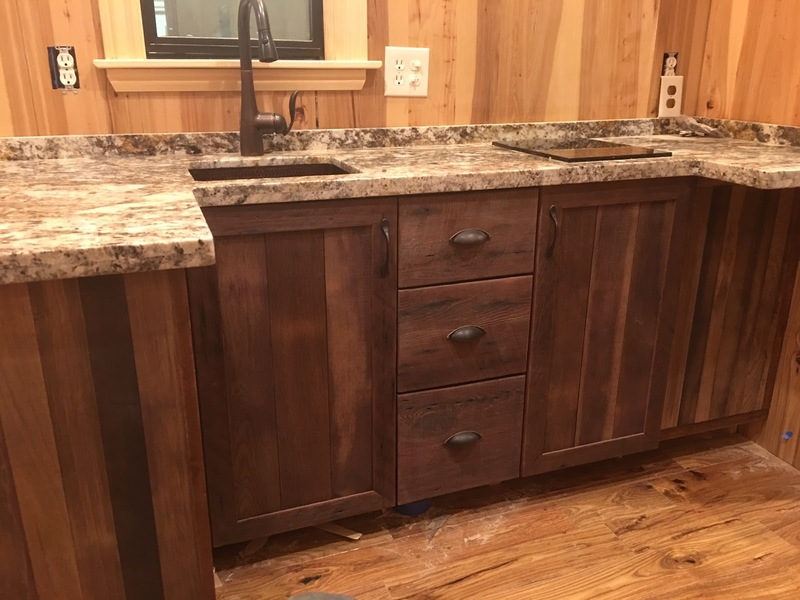 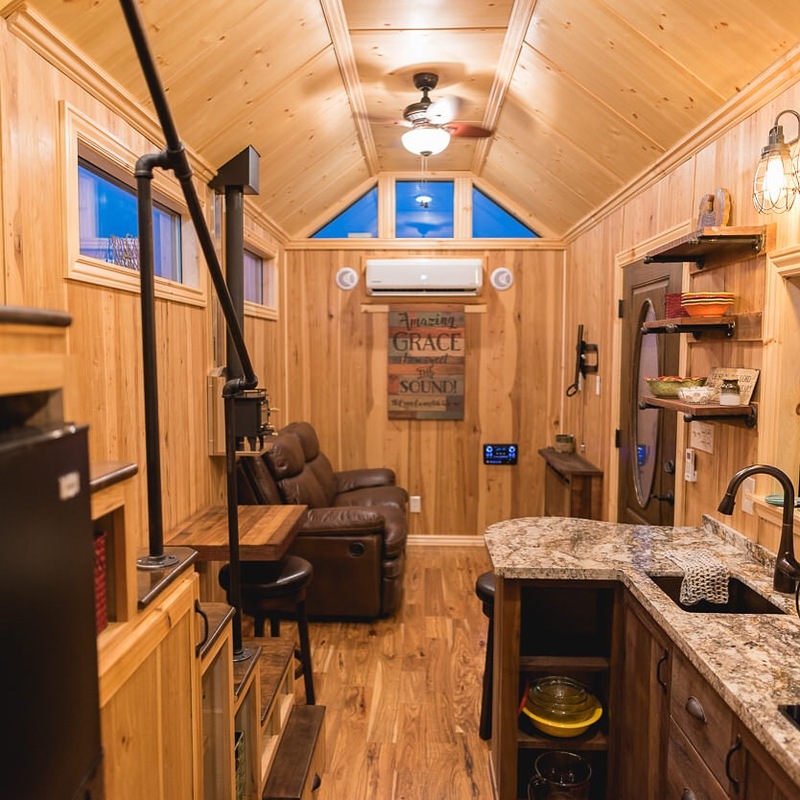 Built in Fresno, each home from California Tiny House comes with tempered windows, your choice of a composting or standard flush toilet, and appliance options. 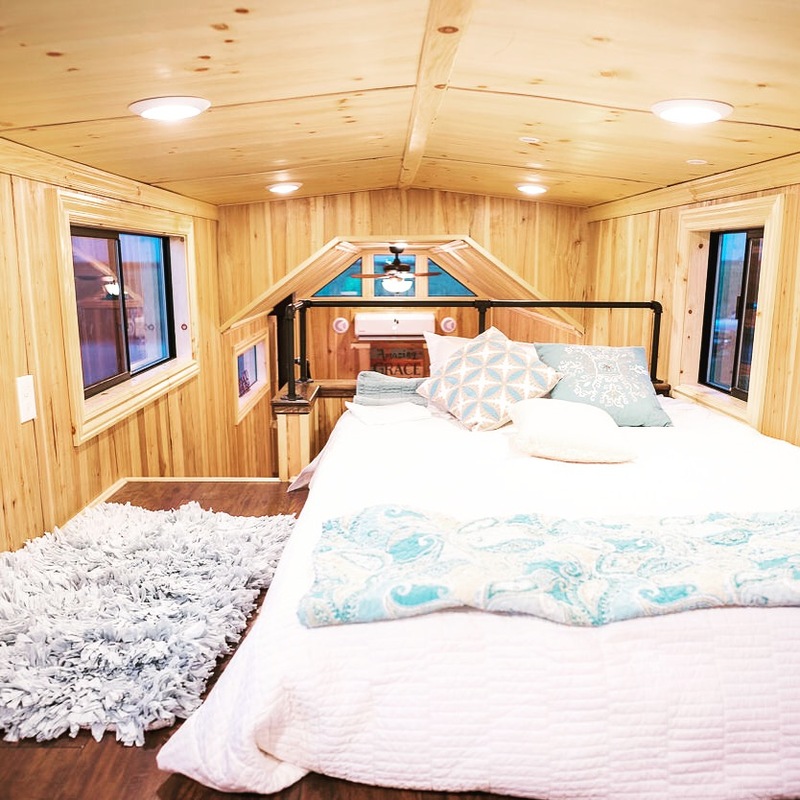 There's also safety features included such as a smoke alarm, fire extinguisher, and a CO2 sensor. Pricing for a tiny house from California Tiny House starts at $45,000. 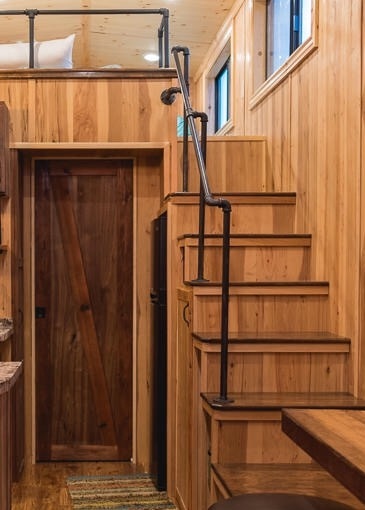 You can also check out the home's list of options here.